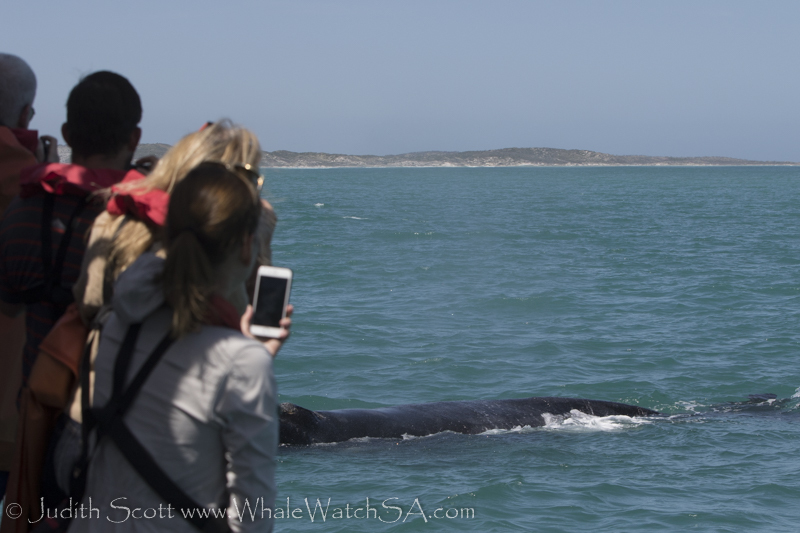 It is really the best time of year to come through and do some whale watching here in our bay, with so much action going on at the moment. We had a bit of wind blowing out today, but the winds are starting to change from west to east, which is indicative of a change in season. 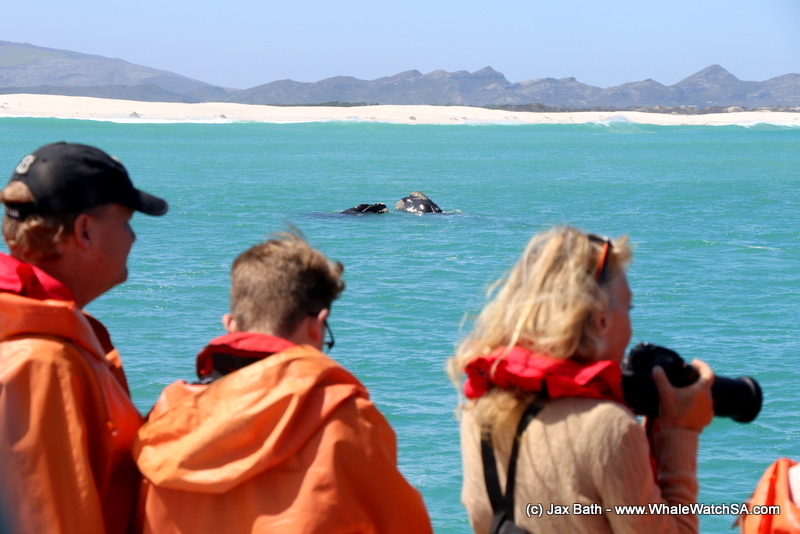 We’re going to start seeing the Sub Antarctic Skuas heading back home for the summer season, but luckily, we have some of our other Sub Antarctic visitors in the area to keep us company. 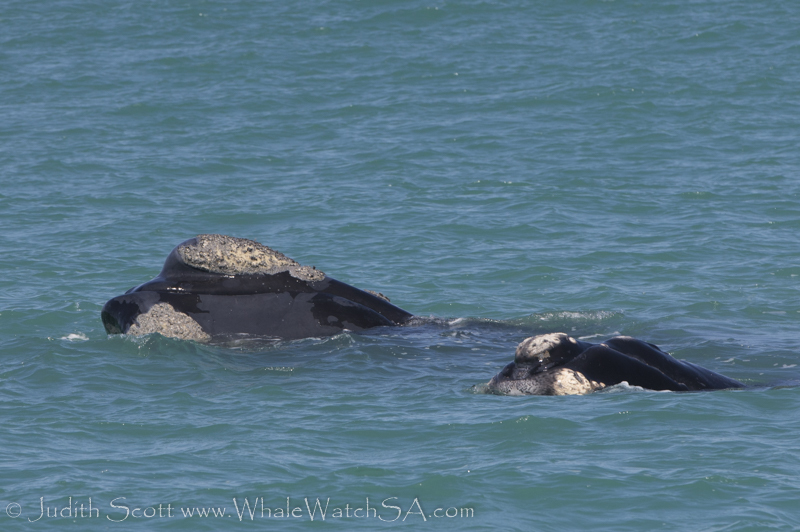 That would be our incredible Southern Right Whales which we have just found in such abundance this year. 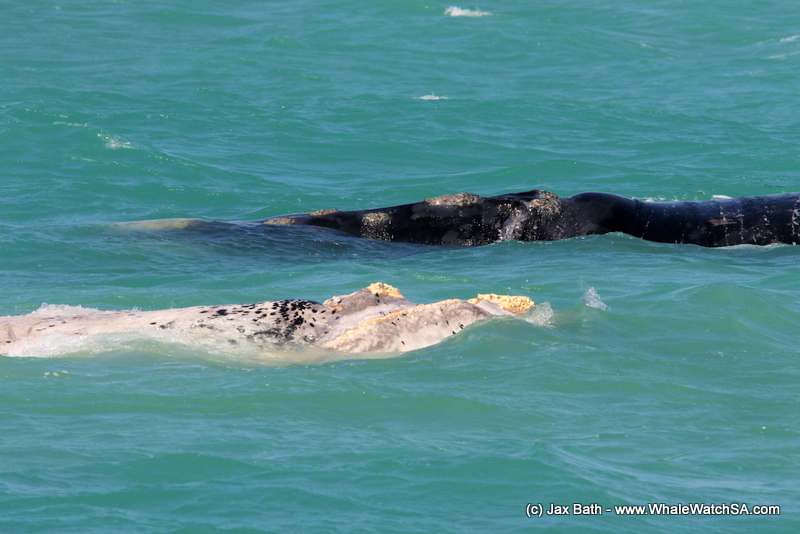 We got to see the whales do some awesome things today. 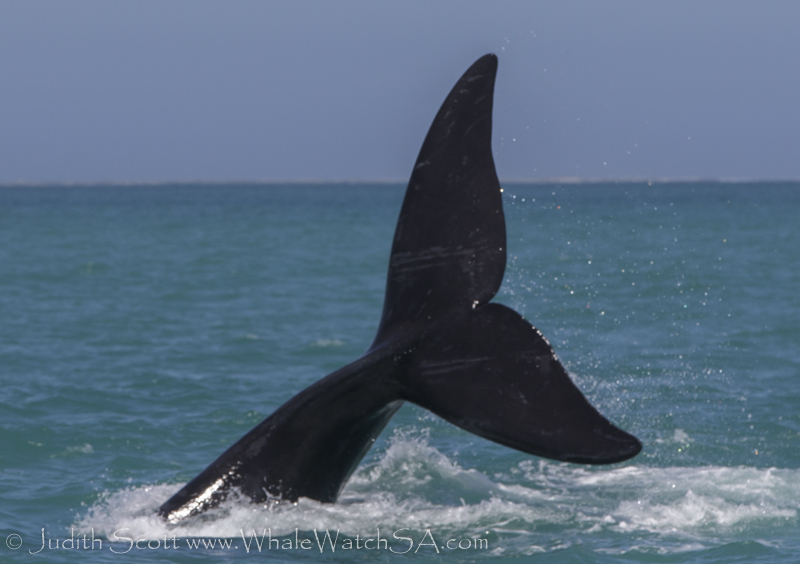 We had one whale who was cool, opening its mouth and showing off her baleen plates, which are not exactly pearly whites but beautiful none the less. 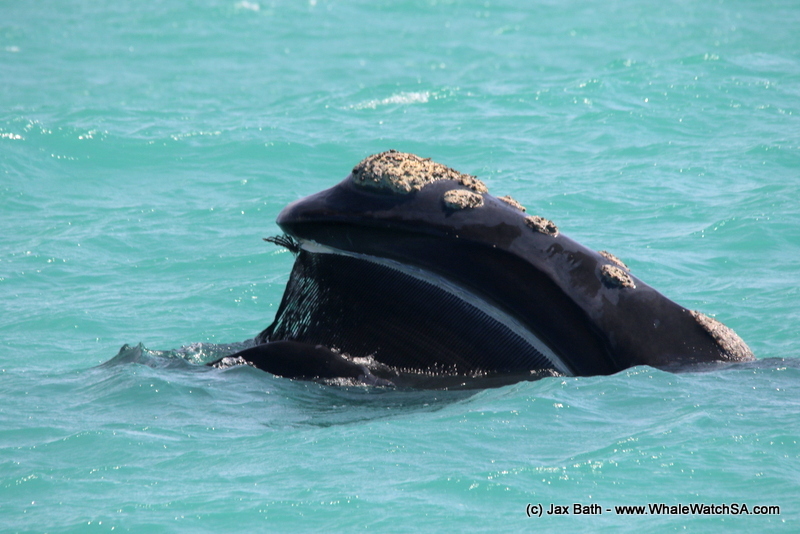 The Southern Right Whales have over 200 of these baleen plates in their mouths, which they use to filter krill and copepods in the feeding grounds. 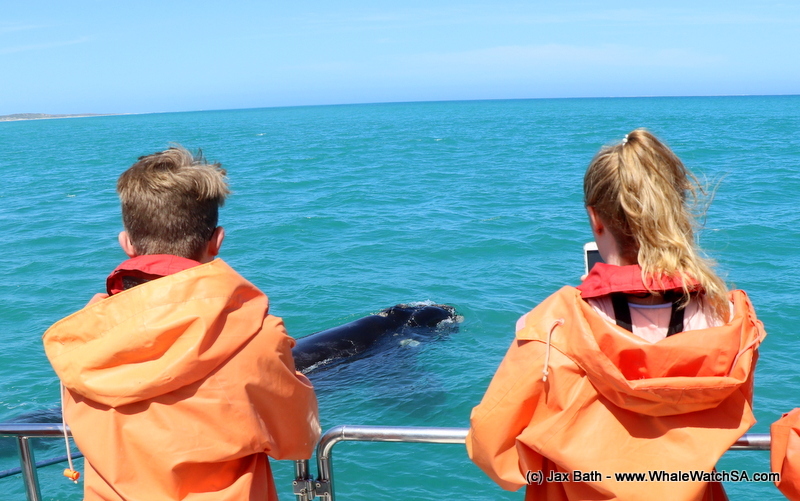 We also had a couple of close approaches from some calves who are starting to take the liberty of exploring our sandy bottomed bays by themselves. 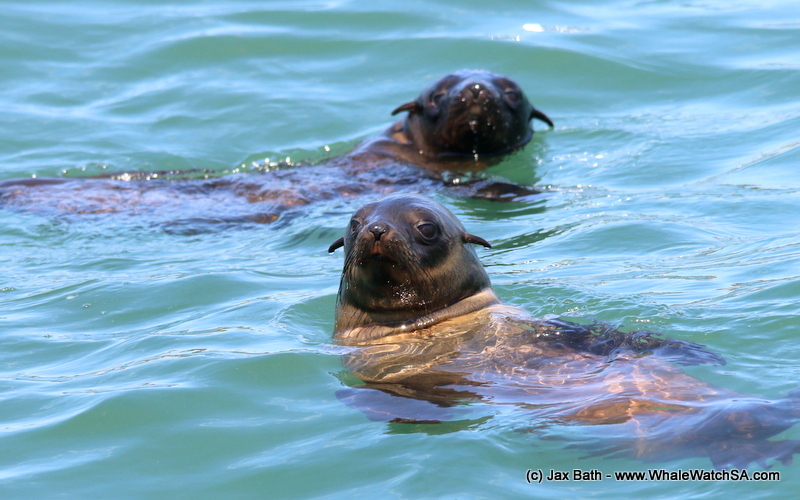 This makes for some memorable sightings as these babies get really nice and close to the boat. 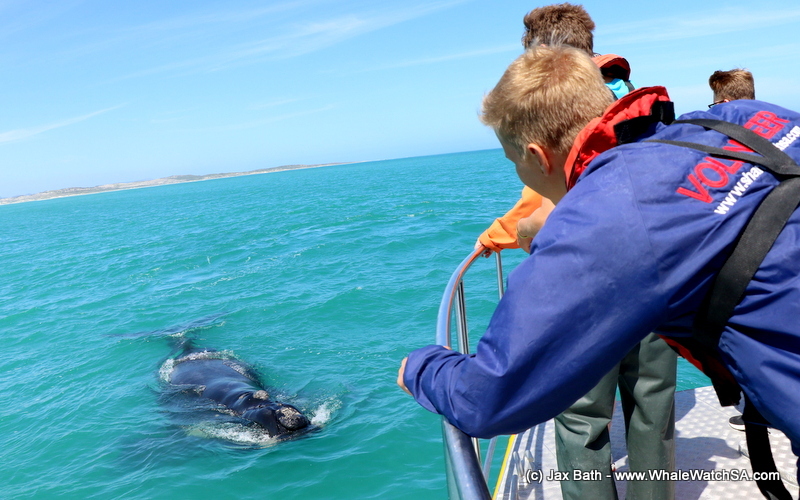 There was also some lobtailing going on in the bay, with the babies throwing their tails out the water, making large splashes but also causing big smiles on all our faces. 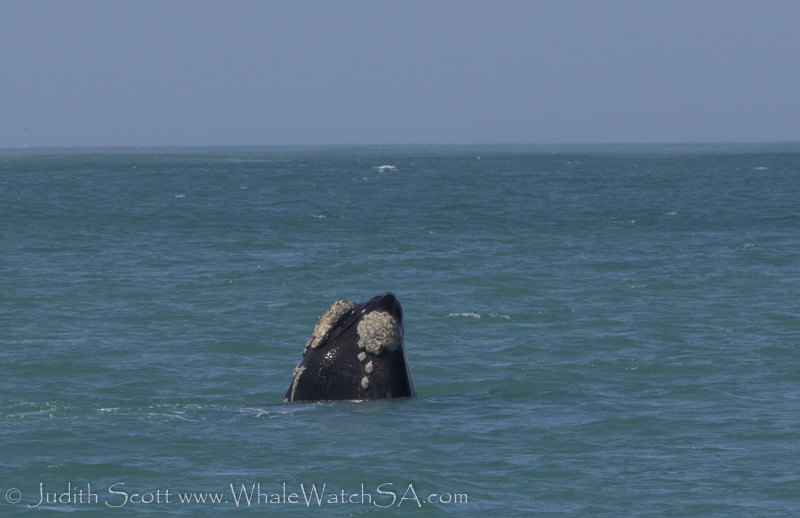 Spy hopping was another behavior sighted out there today, and we even had a little brindle calf to top it all off, what a day! 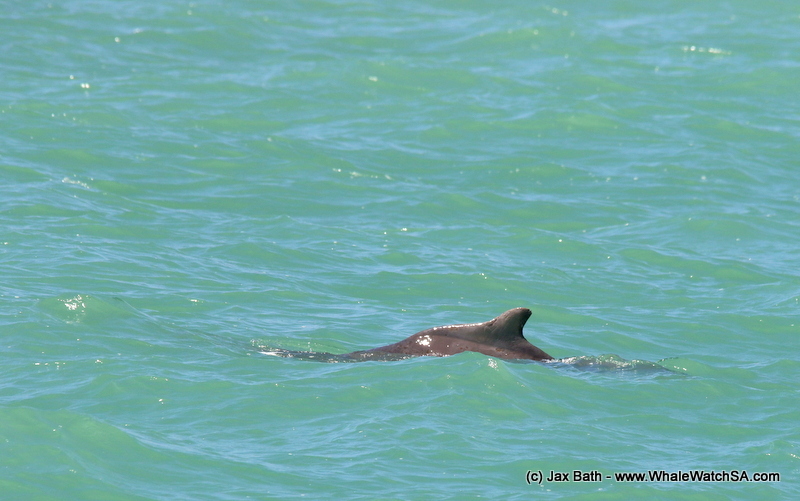 On one of our tours, we were also lucky to spot a small pod of Indian Ocean Humpback Dolphins, including a young calf. 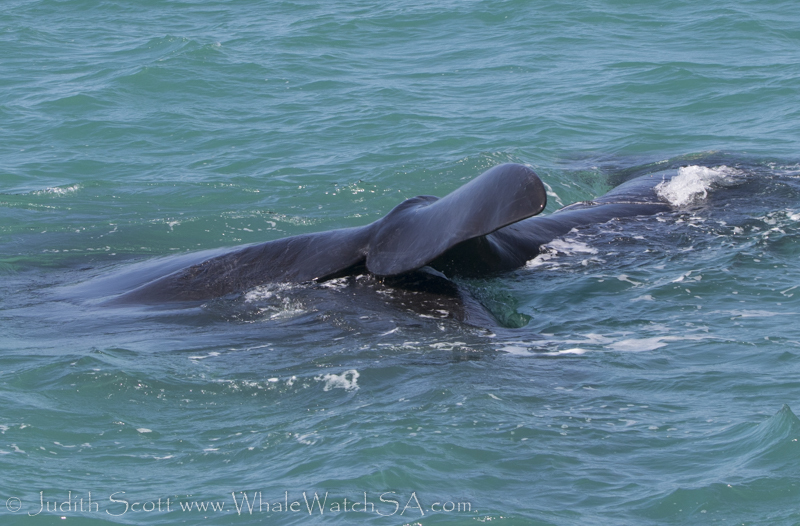 We believe that the mother is claw, and it is so great to see a new baby added to this endangered population. 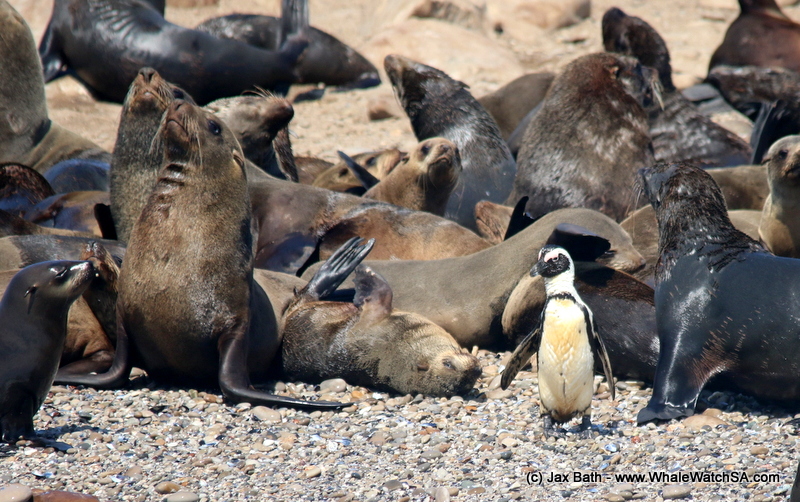 Some African Penguins were also sighted, including one brave guy on geyser Rock with our seal colony. The Brindle baby sticking his head out and opening his mouth. 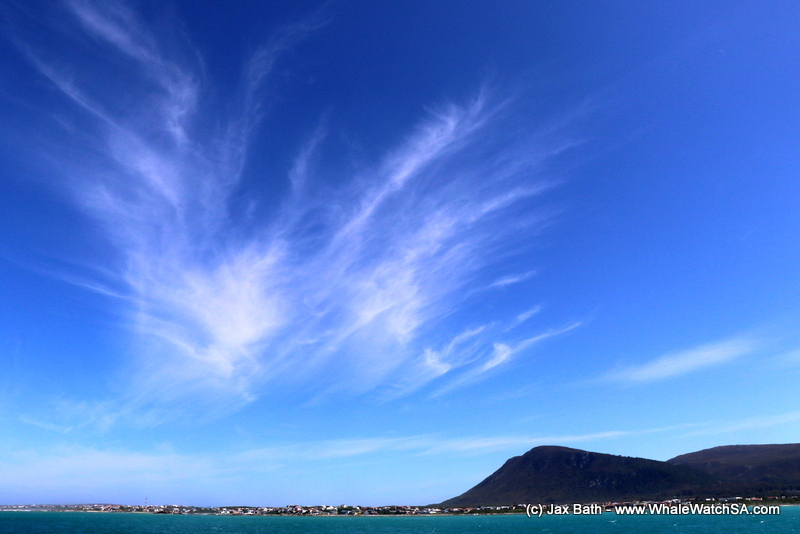 We had some stunning seascapes today. 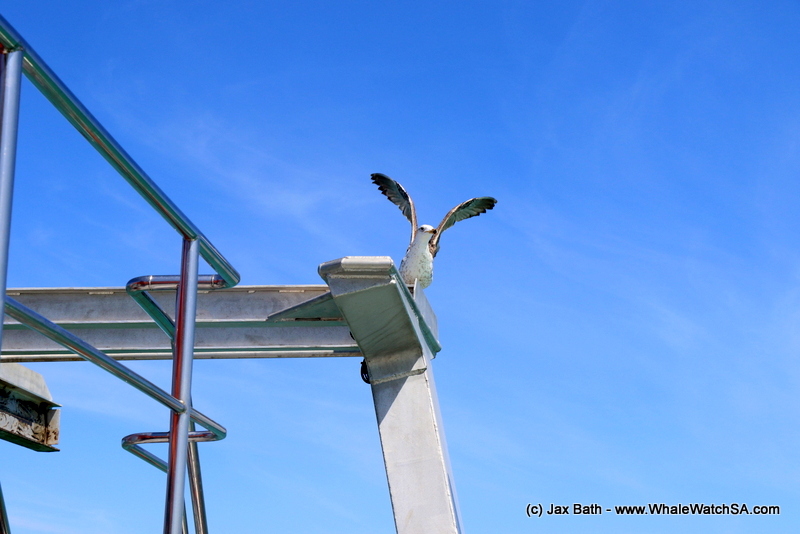 Larry the young Kelp Gull, who hitched a ride. An African Penguin on Geyser Rock. 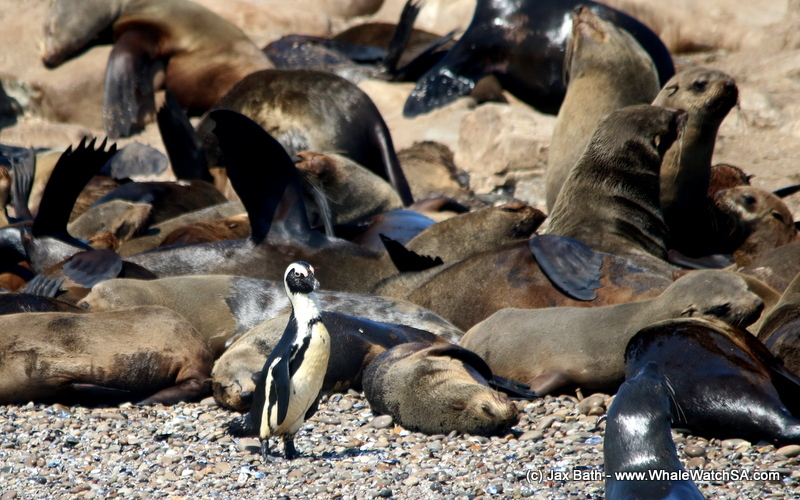 We sometimes get to see the African Penguins over on our seal island, but we cannot help but feel a bit nervous for them. 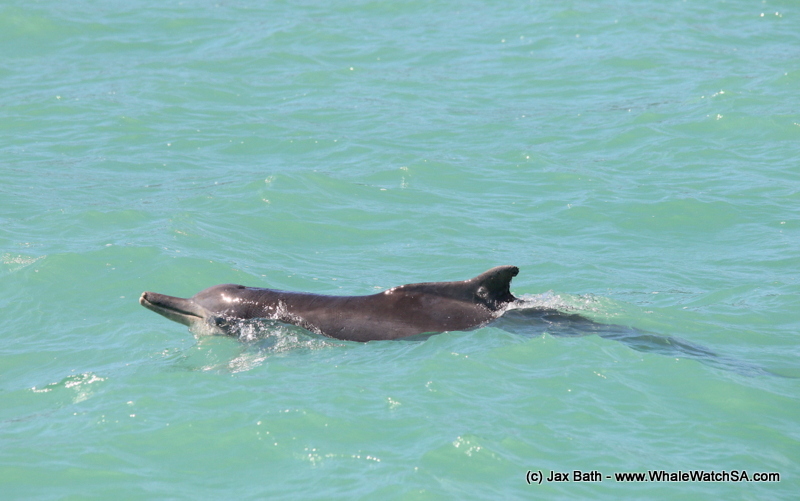 A little one surfaces right in front of the boat. 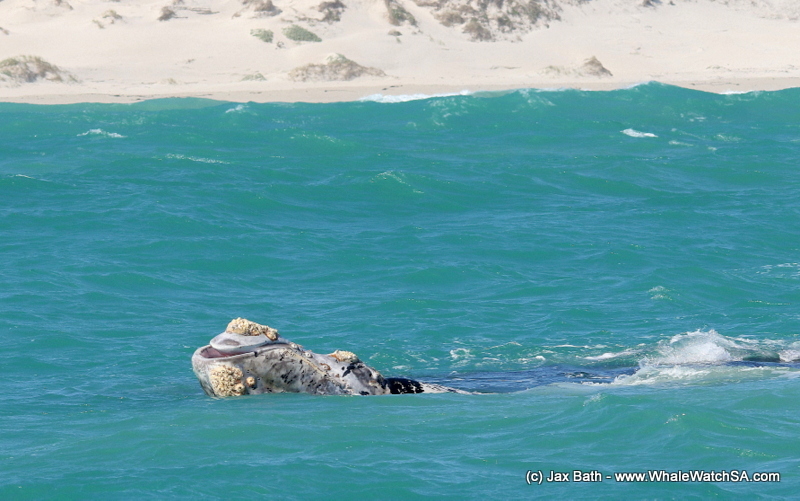 Mom and baby spu hop in front as a baby breaches to the right. 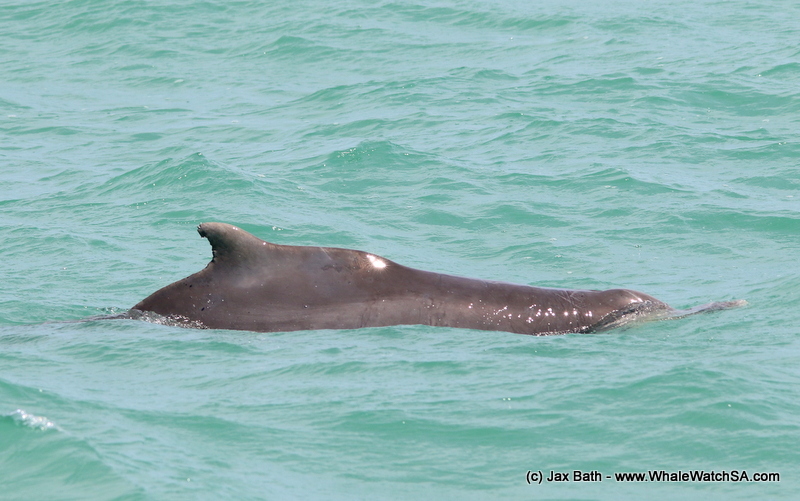 An Indian Ocean Humpback Dolphin. 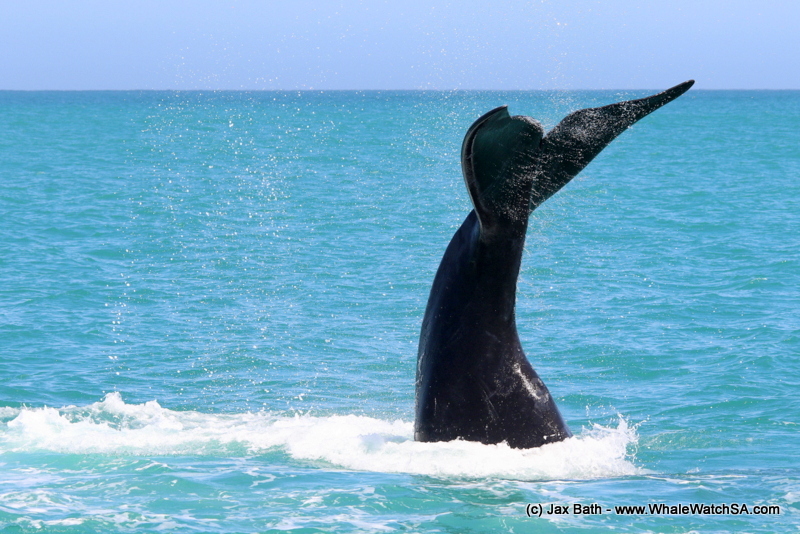 A close up look at the dorsal fin, which we use to identify the animals. A Calf’s tail on mother. 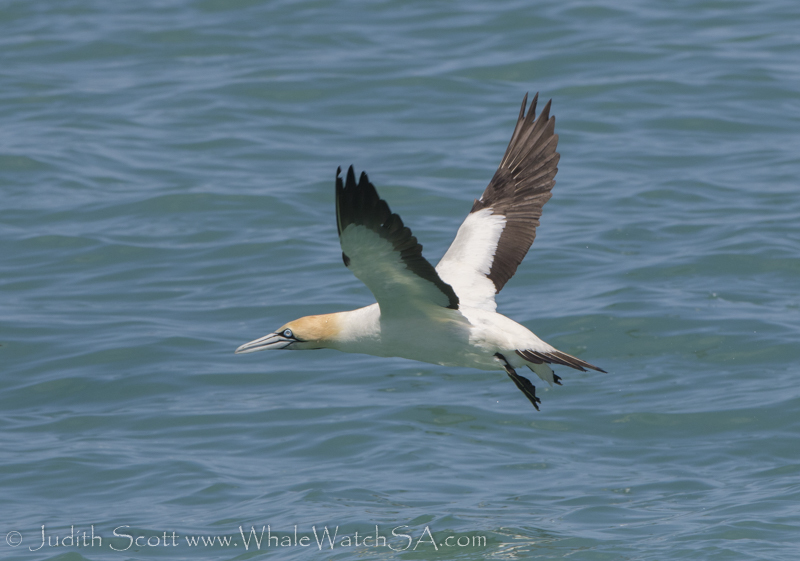 A Cape gannet in flight. 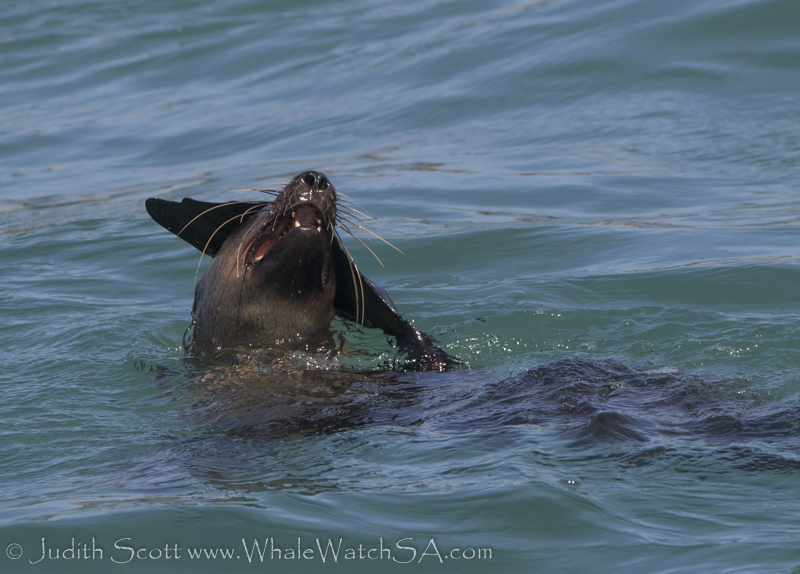 A seal having a scratch. 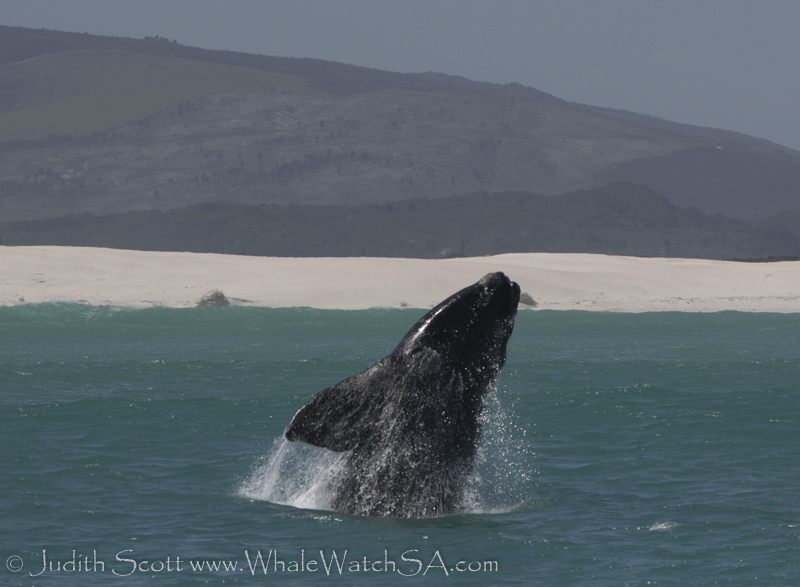 A close approach from mother whale. 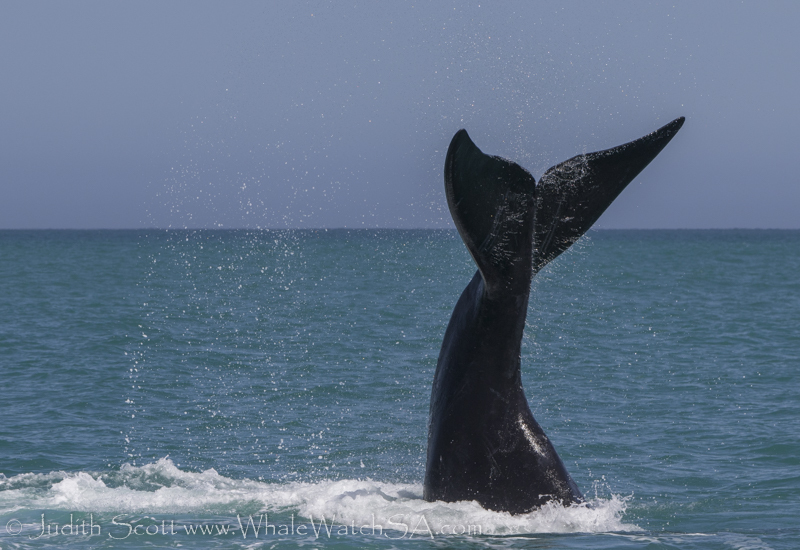 A whale doing some spyhopping. Mom and baby looking at us together. 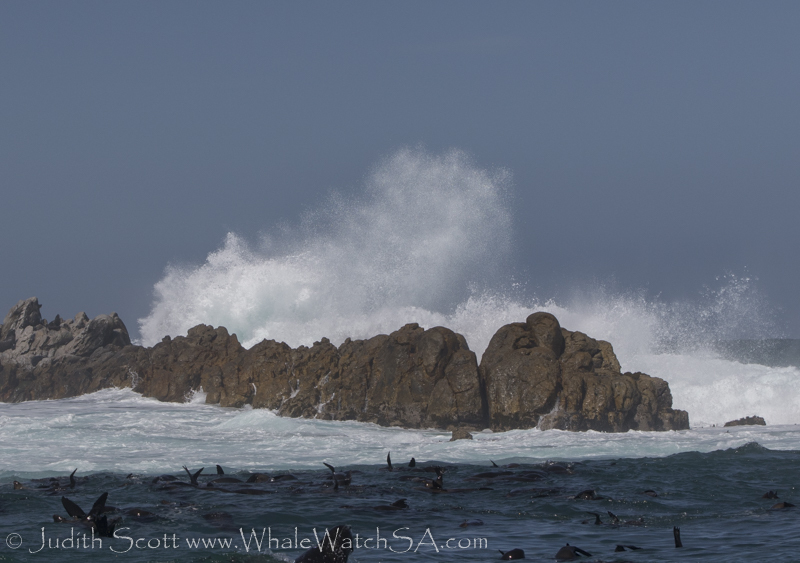 A wave breaks over hospital rock.